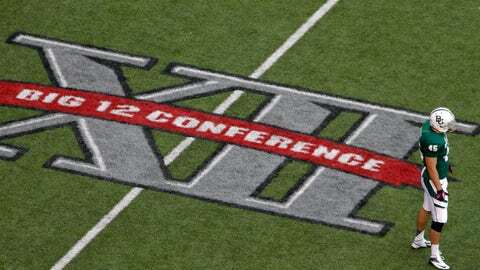 The deal calls for each school, except Texas and Oklahoma, to have one football game per season exclusively shown on ESPN , starting in 2020. Baylor, Kansas, Kansas State and Oklahoma State will have football games on ESPN starting this season and Iowa State, West Virginia. TCU and Texas Tech will join them in 2020. Also, all Big 12 men’s basketball games not appearing on an ESPN television network — expected to be at least 75 per season — will be shown on ESPN .